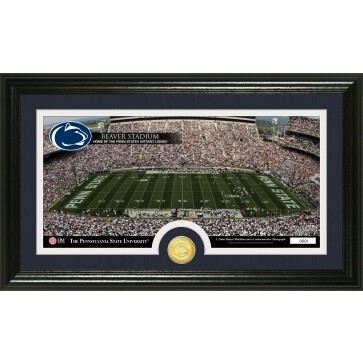 This unique 12 x 20 frame with a glass front panel features in double matting a 7"x 15" photo of your favorite School's Stadium combined with a minted Bronze 39mm School Commemorative Coin. 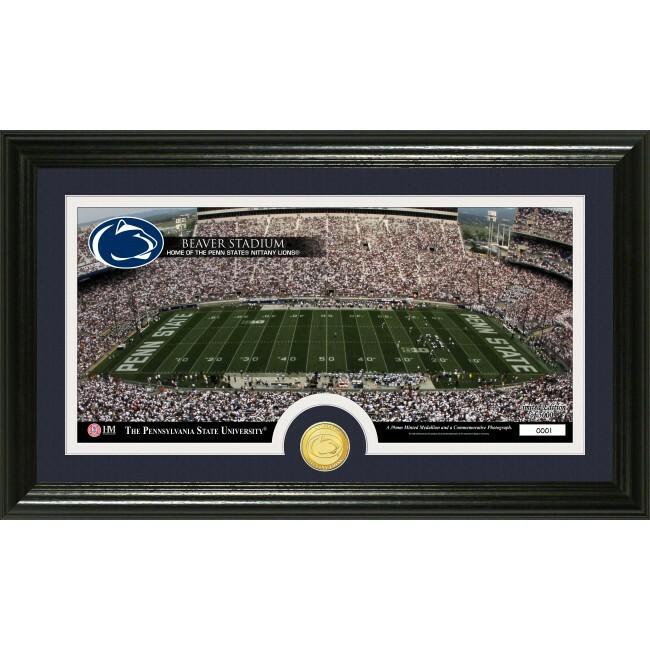 Each will be accompanied by a Certificate of Authenticity with a Limited Edition of 5,000. Officially Licensed by CLC. Proudly Made in the U.S.A. by The Highland Mint.